Can I Sue Equifax After The Data Breach? News of the Equifax breach has many consumers fearing identity theft and the impact that would have on their lives. The information that was taken in the breach includes birth dates, Social Security numbers, names, addresses, and other personal identification information on millions of Americans. This is the kind of information that can easily allow someone to fraudulently assume a person’s identity. It can take years for a consumer to recover from identity theft, even if the consumer is not ultimately held financially responsible for the actions of an identity thief. The news of the data breach understandably has consumers wondering if they can file a lawsuit against Equifax. The simple answer is yes, but it depends. In order for a consumer to recover damages in a typical lawsuit, the consumer has to prove that he has suffered damage from the actions of the defendant. In this case, a consumer would have to prove at a minimum that his information was compromised in the data breach. On easy way consumers can do this now is by going to the Equifax website and making a request for that information. If the lawsuit is filed in federal court in Pennsylvania, which is the third circuit, it is sufficient for the consumer to show that he has been put at higher risk for identity theft in order to have standing. Standing is the right to sue for compensation. In other federal circuits, the consumer may be required to show actual identity theft in order to be allowed to sue. Because of these different approaches, the issue of which consumer can sue may one day have to be decided by the United States Supreme Court. Consumers also have to decide whether to sue alone or to join a class action lawsuit. This is a crucial decision for the consumer. While there are benefits to a class action lawsuit, it also means that the consumer gives up the right to file a separate lawsuit later on. In addition, the payout to the individual member of the class action is often very little. However, class action lawsuits do not generally require the members to pay legal fees up front. The legal fees are paid from the amount of money recovered in the lawsuit. This is called a contingency agreement. This kind of payment agreement is also offered by many personal injury attorneys to individual claimants without joining a class action. 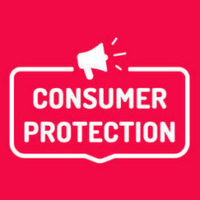 A consumer should not make the decision to join a class action without discussing the issue with his own attorney, especially if the consumer has directly suffered a financial loss from the data breach. If you believe your data was compromised in the Equifax breach or under other circumstances involving a merchant or company, you should contact an experienced consumer protection attorney to discuss your options. Before making the choice to join a class action lawsuit and potentially give up your right to file a lawsuit later on, contact the law firm of Louis S. Schwartz, Attorneys at Law to speak to an attorney.